Widows of Maldivian men who travel to Syria to fight for militant factions in the country are being forced to prostitute themselves after their husbands’ death, says former Maldivian President and Leader of MDP, Mohamed Nasheed. In an interview to Public Service Media last Monday, Nasheed addressed the issue of Maldivian families who travel abroad to engage in foreign civil wars. Nasheed – who is now also the MP-elect of Central Machangolhi Constituency, said that approximately 70 Maldivians have died in the Syrian civil war, and alleged that approximately 400 Maldivian women have been left with no choice but to allow themselves to be passed from one man to the other following their husband’s death. “Hundreds of Maldivians have traveled to Syria in the name of religion. 60 or 70 Maldivians have died there. Approximately 400 Maldivian women are prostituting themselves. Now they claim it’s this marriage and that marriage. But the woman is being passed from one man to the other as soon as the men die,” said Nasheed. Nasheed said that families of the Maldivian men and women living in Syria have repeatedly alerted him to the dire circumstances they face. "They have their granddaughters and grandsons in Syria. They have their daughters in Syria. Their daughters are being passed from one man to the next and to the next,” he said. “They were sent from Maldives to Syria in the name of the religion of Islam. And because I protest against it I’m labelled a non-believer. We are not non-believers. That’s a blatantly false allegation,” he said, addressing allegations often made by his political opponents. 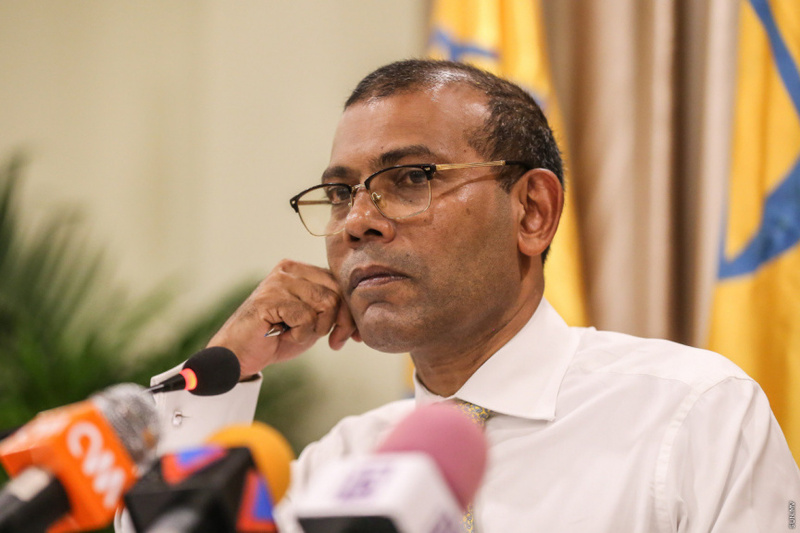 Nasheed said that his political opponents chose to defame him because they didn’t have the substantial policies and vision to fight him on a level political field. He accused his political opponents of using religion as a shield to hide inadequate policies and lack of “agenda”. Nasheed said that the people of Maldives helped MDP gain supermajority at Parliament “while they had been spewing their allegations”. “The people who can defend the religion of Islam are currently in power in this nation. And in majority at the Parliament,” said Nasheed.